MediaCT is specialized in bulding webshops with the e-commerce platform Magento. What make us stand out in the world of webdesigners, is that we combine our knowledge of internet marketing with our webdesign skills. 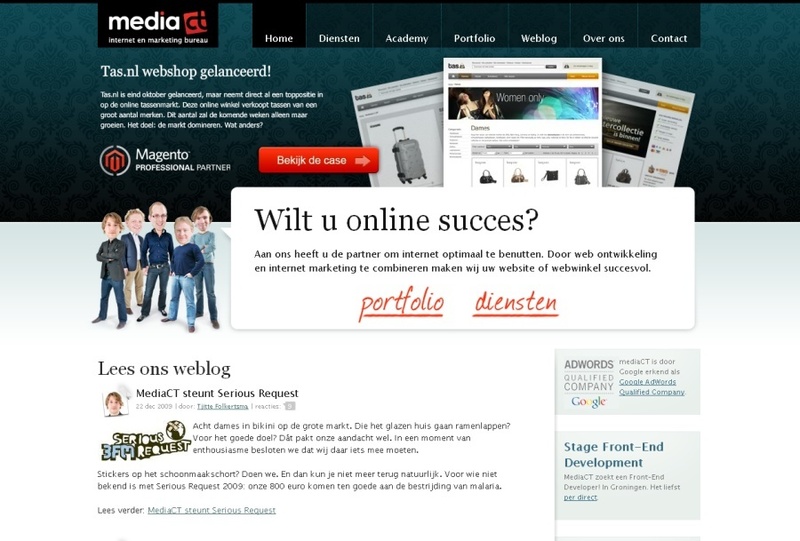 This is a screenshot from our latest homepage of mediact.nl.